Set around the beauty of the North Carolina coast, The Notebook is a romantic drama about Noah Calhoun, a young plantation worker who’s just returned from the Second World War and into a different kind of America. Noah spends time lamenting the summer days he spent 14 years ago with a beautiful girl. Not knowing where she went to, he is unwilling to let go of those fond memories he shared with her. That is, until she makes a surprise return. Now, the fragments of Noah and Allie’s lives will unfold as author Nicholas Sparks invites to discover true love against all odds, and the fundamental changes it brings to all of us. 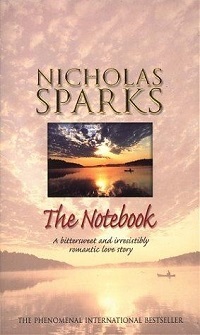 Praise has been given to The Notebook’s humour and drama, bringing both laughter and tears to its readers. The main source of contention is the novel’s clichéd plot devices and predominantly soppy nature. Nonetheless, the novel is a hit best-seller and seems to have a good following behind it.